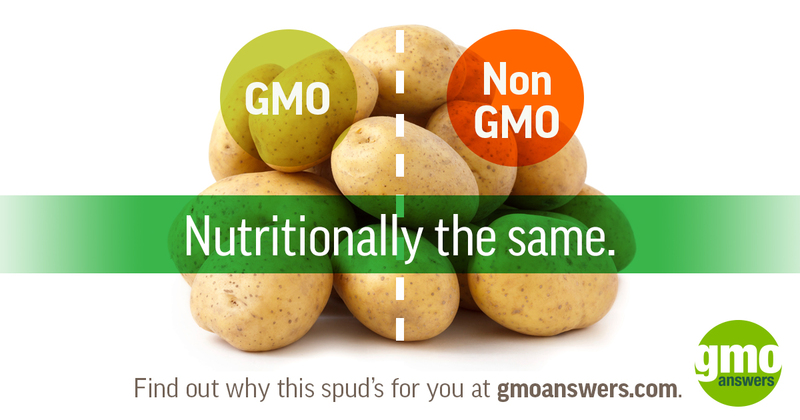 Why do some people say or think GMOs are bad? Because for some people and groups, misinformation pays. 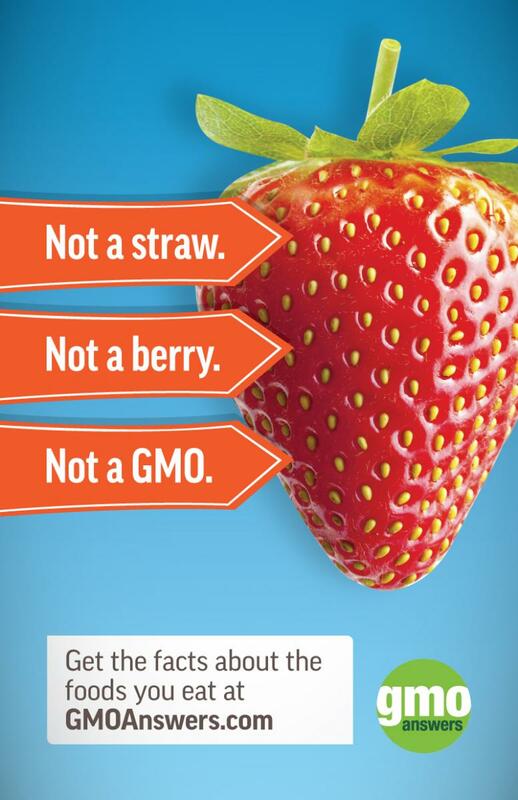 Did you know that a large portion of the negative information about GMOs that’s stated as fact and spread widely on social media is paid for by groups who stand to directly benefit from positioning their own goods as the “healthy,” or “earth friendly,” better, alternative choice to GMOs? 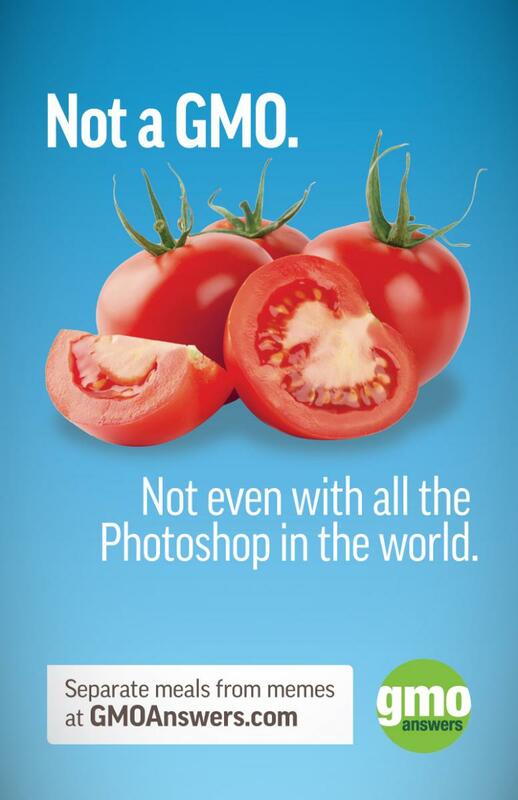 Just as they want you to believe that GMO foods or crops are less healthy, less beneficial for the earth and have related, undisclosed costs both literally and figuratively, we think it’s important that people are provided with accurate information about the contribution GMOs make and the benefits of the technology behind GMOs. 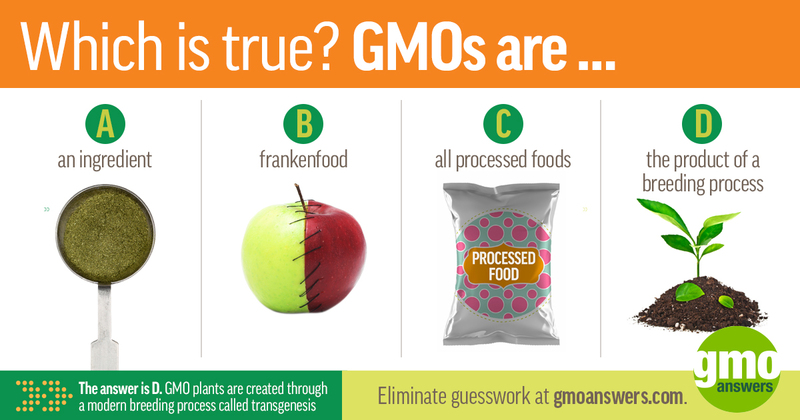 So what are the GMO facts? 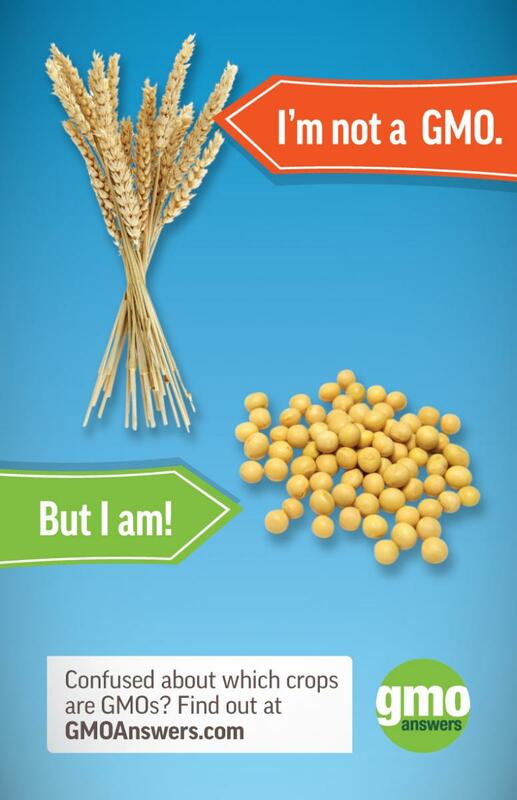 It is important to remember that genetically modified crops are nutritionally equivalent to non-genetically modified foods, unless the nutritional content has been intentionally changed, like in high oleic soybeans. If a crop has been nutritionally enhanced, that specific characteristic will be highlighted on the product label. 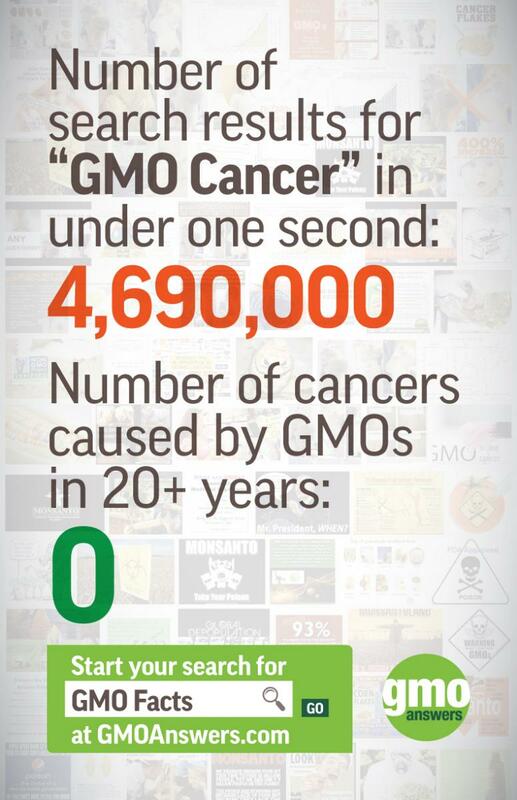 And the health and safety consensus of GMOs is firmly established by scientific authorities around the world. Between 80 to 90 percent of cheese in the U.S. is made using chymosin that is generated by genetically engineered bacteria. Chymosin is a key enzyme in rennet, the substance that causes milk to coagulate and turn into hard cheese. Until the 1990’s rennet was primarily harvested from the fourth stomach of young ruminant animals, often calves slaughtered for veal. As demand for cheese increased over time, supply could not keep up with demand to meet the need with traditional animal-produced rennet. Scientists were able to fill the void by transferring the chymosin gene into bacteria that could generate large quantities of chymosin, which is a purer, more consistent product than that derived from animal sources, not to mention more environmentally- and animal-friendly. 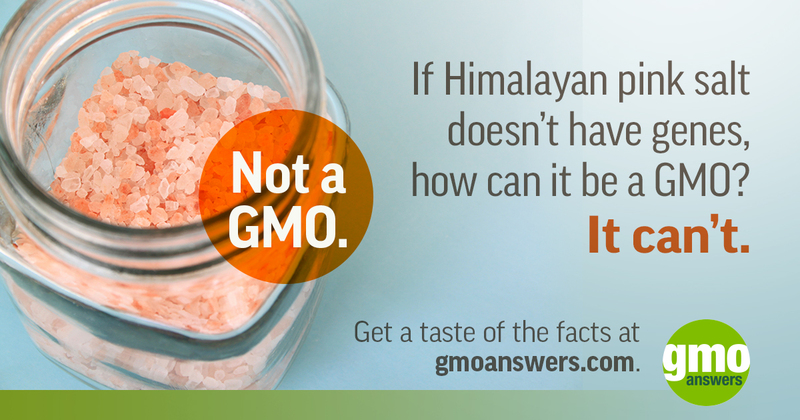 Labeling something non-GMO does not necessarily mean that there is or ever was a GMO variant of that food or product. Whether it is less time spent on a tractor tilling soil, which helps to reduce carbon emissions, or applying fewer insecticides, GMOs help farmers to reduce their environmental footprint in many ways. 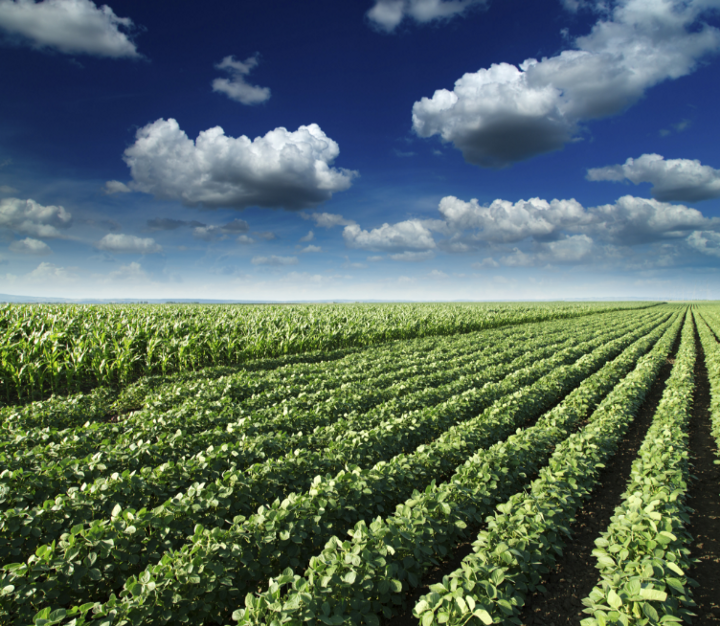 Additionally, genetically modified crops enable farmers to grow more crops using less land, while applying fewer chemicals, conserving water and energy allowing farmers to be more productive and efficient. Iron and zinc deficiencies are prevalent throughout developing nations, significantly impairing individual’s physical health and community economic well-being. According to the World Health Organization (WHO) iron deficiency affects more people globally than any other condition. Iron deficiency can negatively affect an individual’s physical and cognitive development, as well as reduce economic progress in an impacted community through decreased work output. Sorghum is an important staple food, like rice, that can be nutritionally improved to address iron, zinc and Vitamin A deficiencies. Sorghum, which originated in Africa, is a principal food for 300 million people on the continent, and approximately 70 percent of all sorghum globally is grown in Africa. Through the Africa Biofortified Sorghum Project (ABS), an international public-private partnership, researchers have demonstrated that biotechnology can be used to enhance the bioavailability of iron and zinc, increase the amount and stability of pro vitamin A (such as beta- Carotene), and improve the protein digestibility of sorghum. 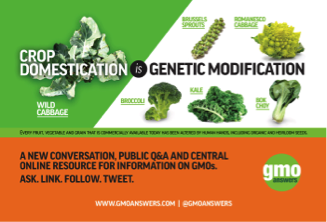 Typically, GM crops are the more efficient crops, and that means their price and costs as ingredients are less than non-GMOs.